Upgrading your GPU doesn't have to be hard. We've been there: a new game to comes out and your trusty dusty old PC isn't up to snuff, giving you a slideshow rather than a smooth experience. It's time to upgrade, but keeping up with current technology trends is daunting. This 'idiot's guide' will walk through the process of checking your system hardware, determining how powerful your graphics card should be, setting a budget, and ultimately selecting your next graphics card. CPU-Z will tell you almost everything you need to know about your hardware. You can see what CPU you're using, the motherboard, amount of system memory, and other details, which are all useful things. If you're using an Intel processor, head over to Intel's ARK and type in the processor name, and that will tell you when your processor came out. For example, the Core i7-4702QM in the above system (a laptop) came out in Q2'13. For AMD processors, head over to Wikipedia, where you can quickly find the release dates for all the FX series CPUs; APUs like the A8-3870K are in a separate APU list. The tricky part is in figuring out how old a system is 'too old' to warrant upgrading your graphics card. Some budget PCs from a few years ago might struggle, while others would be fine. One place to start is Futuremark's hardware database, where you can pretty quickly find results for most processors; it's not necessarily an exact science, but anything that has a CPU score below 3000 is due for replacement, below 4000 is questionable, and 5000 and above should be okay. The tricky part is in figuring out how old a system is 'too old' to warrant upgrading. There are other factors to consider—how much memory you have, your power supply, the size of your case, and what type of monitor you're using. You'll want at least 8GB of system memory—DDR2, DDR3, or DDR4 doesn't matter so much as capacity—and 16GB is more than sufficient for any current games. A quick rule of thumb is that you should have twice as much system memory as your graphics card has VRAM, so a 4GB graphics card means you'd want 8GB or more system memory, and an 8GB card ideally would have 16GB of system memory. There's technically nothing stopping you from using an 8GB card with 8GB of RAM, though. For the power supply, you'll need something capable of running whatever new GPU you're planning to buy. Mostly, that means having enough 8-pin or 6-pin connectors for your graphics card. If you're using a PC that doesn't have any PCI-Express Graphics (PEG) connectors, you should get a new PSU, if not a new PC. The easy path is to just have a decent 80 Plus Bronze PSU rated at 500W or higher with two or more 8-pin PEG connectors and you should be set. Big graphics cards like the Zotac Amp! Extreme require equally large cases. Last, check to make sure your case has sufficient space and cooling. If you're eyeing something like the Zotac GTX 1080 Amp Extreme, you should have an equally massive case. Pull out a tape measure and see how much room you have—or if you're upgrading from an existing graphics card, just measure that. Most graphics cards are around 10 inches long at most, but some custom models with the triple-fan coolers from Asus, Gigabyte, MSI, Zotac, and others can be up to 12.5 inches long. Shorter ‘mini-ITX’ models of many GPUs are available for smaller cases. For cooling, if you only have one or two small case fans, a blower-style graphics card is generally a better idea than an open-air cooler. If you're running a PC from six or more years ago, I hate to be the bearer of bad news, but you should probably consider a full system upgrade. That's not to say every older PC should be tossed into the dustbin of technology. I looked at a seven-year-old i7-920 last year and found it was only 10-25 percent slower than a state-of-the-art system in games, but that was a top-end old system that once cost $2000. If you started with a midrange or budget build, it won't hold up nearly as well. If you're upgrading an existing PC, determine what that hardware is actually worth. You can look at eBay's 'sold auctions' if you need to get an estimate. There's fuzzy math involved, but I don't recommend spending more on a graphics upgrade than the worth of the rest of your PC as a general rule. If you want to get a high-end GPU ($500/£450+), you should probably be running some form of Core i7 processor, or at least an overclocked Core i5. For a mainstream GPU ($200/£175), just about any system less than six years old will suffice. Building a new PC is different, since the cost of all the other parts will generally be higher. Most people don't use premium unleaded gasoline in their family wagon, and it would be odd to pair a budget processor with a high-end graphics card. I suggest keeping the cost of your graphics card at roughly one-third the price of your PC's hardware (not including monitor, keyboard, mouse, speakers, or OS). If you look at our PC build guides, we almost unconsciously follow this rule. Our budget, midrange, and high-end builds all allocate around 30 percent of the total cost to the graphics card. Buying a good card today means you shouldn't need to upgrade again for a couple of generations. You also need a general idea of the graphics settings you want to run, meaning the resolution and quality. The resolution should be your display's native resolution, and if you're buying new hardware, I'd shoot for at least high quality if not ultra settings. Medium quality usually looks decent and might help you keep costs down, but buying a card that only handles current games at medium quality means you're only a year or two away from another upgrade. Buying a good card today means you shouldn't need to upgrade again for a couple of generations, maybe more if you stretch things (e.g., by lowering the resolution and/or graphics quality). For graphics settings, higher resolutions mean more pixels, and more pixels means lower performance. In general, you'll need about 30 percent more graphics performance to handle 1440p compared to 1080p, and about 70 percent more performance to go from 1440p to 4K. You can offset that by lowering quality settings, though the impact varies greatly by game. Some games (like Doom) don't show much of a difference in performance or appearance going from medium to high to ultra settings; in others (e.g., Rise of the Tomb Raider) the performance difference can be huge. On average, dropping from ultra to high quality improves frame rates by around 50 percent, and going from high to medium will add another 50 percent. Combining those estimates, a graphics card that runs 1080p ultra settings should also handle 1440p at high quality and 4K at low-to-medium quality. Compared to 1080p medium, you’ll also need about three times as much graphics performance to run 1440p ultra. Doom frame rates don't benefit a lot from lowering the graphics quality. Why should you buy a new graphics card? The short answer is that you want to play games, and your current graphics card isn't doing the job well enough. Forget the hardware for a moment; if you're playing games on your PC and having fun, there's little reason to buy a new GPU. Buy a new graphics card when that ceases to be true. When should you buy a new graphics card? Waiting around for the 'perfect' deal on a new graphics card is boring, and you won’t usually see massive short-term sales, so Black Friday isn’t necessarily a great time to upgrade. Instead, I find it's better to upgrade not too long after major GPU launches. That means right now is an excellent time to buy, since Nvidia's 10-series cards and AMD's RX 400 series have both been out a few months, and stock and availability have stabilized. Pricing will be a slow downward trend going forward, and the new cards should last a long time. Waiting for the perfect deal on a new graphics card is boring. Consider Nvidia’s GTX 970 (two years old) and AMD’s R9 290X (three years old) were both high-end cards that continue to run any current game, though not at maximum quality. Waiting a year or two might save you money, but if you can't run the games you want to play right now, waiting around won't change that. Conversely, the worst time to buy a new graphics card is right before a newer product launches. AMD's Vega and Nvidia's GTX 1080 Ti are still waiting in the wings, but both will be very expensive, meaning they shouldn't impact the budget and mainstream markets too much, thought high-end and extreme buyers might consider waiting. Where should you buy your next graphics card? The easy answer is to shop online, because prices are almost always lower. As an example, GTX 1070 online goes for $400 at Newegg, $410 at Amazon.com, but in my case it's about $500 locally. For people in the UK, online orders from Amazon are a good option, but Overclockers.co.uk and Scan.co.uk often have better prices. Not everyone is better off shopping online, however. Microcenter locations offer some very good prices, and if you have a good computer hardware store close by, consider yourself lucky. What’s great about buying local is if something goes wrong, you may be able to get a faster replacement or refund rather than dealing with return shipping and potentially waiting a week or two. Your PC is ready, you know how much you're willing to spend, and now it's time to pick the best graphics card for you. While it's impossible to cover every possible hardware configuration, let's talk about the major choices. First, who is better, AMD or Nvidia? There's no definitive answer. Nvidia has more market share, their 10-series parts are fast and efficient, and they put out consistent driver updates. GeForce Experience is also better (IMO) than AMD's Gaming Evolved app. AMD often has lower prices, though the RX 470/480 end up slightly behind the GTX 1060 3GB/6GB. AMD's Crimson drivers have done well since the first release last year, and DirectX 12 (and Vulkan) so far have been more beneficial for AMD than Nvidia. Based on performance and features, I'd give Nvidia the lead over AMD, but that could change with either price cuts or new hardware—both of which are inevitable. As noted above, we're still waiting to see AMD's high-end play, with RX 470/480 being mainstream parts. Vega is due out later this year (or early 2017), and it could tip the balance back into AMD's favor. For the recommendations below, I'll include both AMD and Nvidia cards (where applicable). The RX 460 is affordable, but don't expect it to handle high resolutions and max quality settings. Budget-minded gamers should be gunning for 1080p medium or high in most games, and they'll want something at or above the level of a GTX 750 Ti / R7 250X. AMD's RX 460 is affordable, starting at $110/£100 for the 2GB card and $130/£120 for 4GB models, with performance similar to the GTX 750 Ti. As an added bonus, the 750 Ti and RX 460 can work without a 6-pin power connector (though some models may still use one). The GTX 950 is the next step up, and it's around 30 percent faster for a similar increase in price. Don’t be surprised when you encounter games that struggle on these GPUs, as they’re the minimum I’d even consider. The GTX 1060 currently rules the mainstream market. Most people aim to play at 1080p on high or ultra settings. This middle tier is also the most competitive, with the RX 470 4GB and GTX 1060 3GB both available for around $200/£170. They'll easily more than double (sometimes triple) the performance of the budget 750 Ti or RX 460. Compared to the previous generation (R9 380 and GTX 960), they're a solid 30-40 percent faster at roughly the same price. You could also go for the GTX 1060 6GB or RX 470 8GB, or the RX 480 8GB, which start at $250-$270/£210-£230. The added memory should prove beneficial as games continue to push the limits of graphics fidelity. For high-end gaming at 1440p high/ultra, prices take a significant jump. The best card overall is the GTX 1070, which starts at around $400/£370. 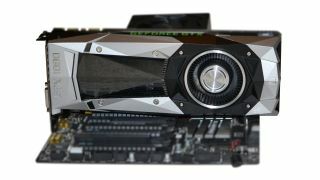 Performance is similar to the previous generation GTX 980 Ti, which is being phased out since it costs more and uses more power while delivering slightly lower performance. If you want an AMD alternative, the R9 Fury is available starting at $310/£290, or you can still find a liquid-cooled R9 Fury X for $390, though in the UK it’s not worth the current £480 asking price. Both cards require substantially more power than the GTX 1070 and have half the VRAM, which is why many AMD fans are anxiously awaiting Vega parts. Everybody wants a GTX 1080, but the price barrier is very high. For extreme gaming enthusiasts the choice comes down to this: Will a single GTX 1080 suffice, or do you want to go for 2-way SLI? A single 1080 can handle 4K high at 60 fps in most games, and sometimes 4K ultra, but there are times when it falls short. If you simply must have 60+ fps at 4K (or 5K even)—maybe you're trying to build your own Dream Machine/Large Pixel Collider—a pair of GTX 1070 cards is the 'moderate' route, while dual 1080s or the new Titan X push into obscene territory. Installing a new graphics card usually isn't difficult, but there are a few things you can do to make it easier. First, I like to clean out all the old graphics drivers before an upgrade, and Display Driver Uninstaller works fine (the free version). You can use the AMD or Nvidia uninstaller if you prefer, but I've found those can leave some 'crumbs' in the form of files and registry settings. When DDU is finished, shut down your PC, flip the power switch off, get grounded (tbh, I never use a grounding strap), and the swap out your graphics card. If you've planned appropriately, it should be a relatively painless process—and while you’re changing graphics cards, clean the fans and filters, because the dust bunnies have been breeding. Boot up and install the latest AMD or Nvidia drivers, then run some games and verify everything is working as expected. If you encounter any problems along the way, drop me a line or leave a comment and I'll try to help. Someone brought me this system that was overheating. Don't treat your PC like this! The only constant in life is change, and nowhere is that more apparently in the computer industry than in the world of graphics cards. This is by far the most interesting and competitive market segment, and each generation brings real improvements in performance and features. GPUs are also becoming increasingly potent at handling non-gaming tasks, including artificial intelligence and scientific research. The result can be a breakneck pace that's hard to maintain, and unfortunately it also means hardware gets outdated more frequently. A good CPU from four or five years ago like the i7-2600K is still doing okay, whereas even the fastest single-GPU graphics card from the same era (GTX 580 or HD 6970) now struggles at times while using more power than a GTX 1080. Don't upgrade just for the sake of upgrading, but when it's time, don't be afraid to pop out the old and join the modern GPU era.